Signs of Spring Challenge: Time to Start! 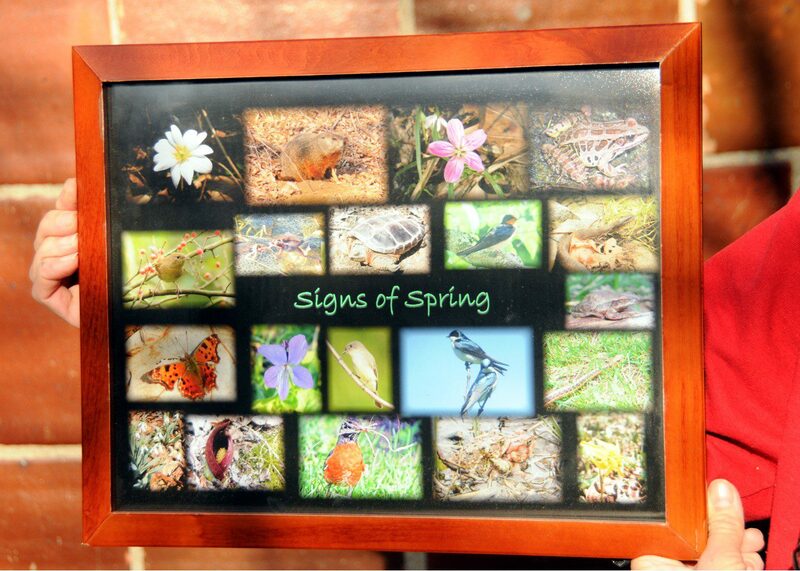 To continue a fun tradition begun two years ago, the Delaware Nature Society invites you to participate in the Third Annual Signs of Spring Challenge. The basic rules are simple: All Signs must be observed on the grounds of the Ashland Nature Center, in order for this to be a fair contest. Come visit the center and help us discover the first flowers, the first frogs, and the first turtles of the season! We also encourage you to keep a blank form at home where you can record the observations you make in your own backyard or local park. The most fun part of this contest is that you are primed to be looking and listening at all times for these signs, wherever you are this Spring. Write down the date and location of your first observations. You will learn a lot and become a better naturalist by being part of this challenge. 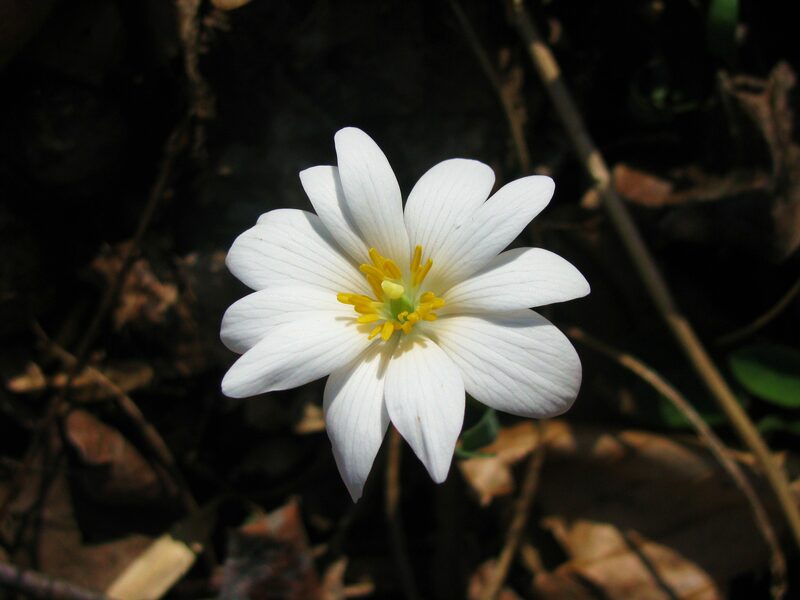 Bloodroot is one of the first wildflowers to bloom in Spring in our region. Look for it to appear in the next month! Image by Derek Stoner. The selected Signs of Spring include these six flowering plants: Snowdrops, Skunk Cabbage, Bloodroot, Spring Beauty, Trout Lily, and Violet. The first bloom of these flowers found at Ashland is declared the first of Spring for this contest. Two Signs have already occurred this week: the first Groundhog and the first blooming Snowdrops! These emergence dates are already marked on the entry form and everyone gets these two guesses correct. Fill out your guesses as to which of the remaining 18 species will occur each week, and send this form back (as an email or fax) to Derek Stoner (derek@delawarenaturesociety.org) by Monday, March 4. Good luck and enjoy observing the Signs of Spring! ← Who’s the New “Moo” at Coverdale Farm Preserve?